In March of 2009, an official collaboration was established by Drum Corps International, Drum Corps Associates, the World Drum Corps Hall of Fame, Drum Corps World and others. A group of volunteers spanning all of the participating entities began work "behind the scenes" to create opportunities to locate and preserve historical records and artifacts, photographs, video and film archives, audio recordings, uniforms, ephemera and other memorabilia illustrating the history of the drum and bugle corps activity, "from the battlefield to the performance field, to Broadway and beyond." 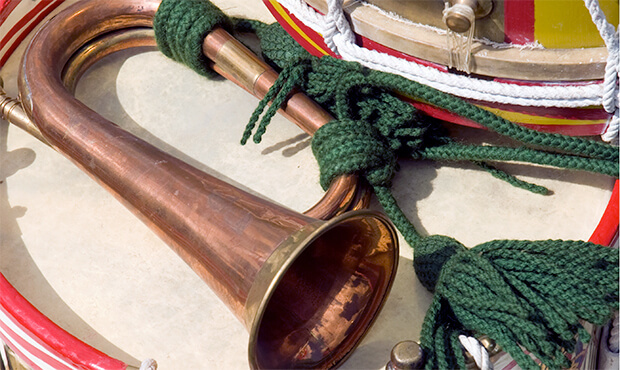 Phase one of the online museum project will include the creation of "virtual galleries" which trace the evolution of the field drum and military bugle from their battlefield roots to the instruments being used by modern-day performance ensembles. Additional galleries are in planning stages, with the long-range goal of capturing the history of this unique activity from every angle, creating a vast online browsing and research platform for marching music enthusiasts around the world.